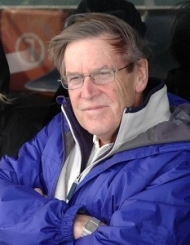 William Clark is Research Professor of Geography at UCLA and an active affiliate of the California Population Center. He was born in New Zealand and earned BA and MA degrees from the University of New Zealand and a PhD in Geography from the University of Illinois. He was a fellow at the Netherlands Institute for Advanced Studies in the Humanities and Social Sciences in 1993, and held a Guggenheim Fellowship in 1994-95. In 1994 he was awarded a D.Sc. by the University of Auckland, New Zealand. He is an Honorary Fellow of the Royal Society of New Zealand and in 2003 he was inducted into the American Academy of Arts and Sciences. In 2005 he was elected to the US National Academy of Sciences and in that year he also received the Decade of Behavior Research Award for research that influences public policy. In the past ten years he has lectured and taught in Europe, New Zealand and Canada and in 2011 held an UK Economic and Social Research Council Fellowship at the University of St. Andrews, Scotland. Most recently, in 2014, he was a Benjamin Meaker Research Fellow, at Bristol University, United Kingdom. His research focuses on mobility, migration and housing choice and housing outcomes. Each of these areas continues his long term interest in demographic change in large urban areas. He has published extensively on models of residential mobility and the sorting processes that bring about residential segregation in the urban mosaic His research is focused on how demographic changes and specifically the spatial outcomes of both internal and international population migration change neighborhoods. The recently edited volume, with David Clapham and Ken Gibb (The Sage Handbook of Housing, 2012) brings together work on residential change, housing choice, housing markets and policy issues on the future of housing. His studies of immigration and its impacts both on places and on the immigrants themselves are set out in two books, The California Cauldron: Immigration and the Fortunes of Local Communities and Immigrants and the American Dream: Remaking the Middle Class. The California Cauldron focuses on immigrations impact on California, and Immigrants and the American Dream examines how immigrants have transformed themselves as their life courses intersect with the American mainstream. Both examine the way in which immigrants change local communities and how they succeed in their life course trajectories. His research has provided insights into the role of preferences, discrimination and public intervention in creating the ethnic and racial separation in America’s large urban regions. He published some of the first papers to formally test the 1971 Schelling model of choice. The papers showed that the theoretical tolerance distributions outlined by Schelling theoretically could be generated from survey data. Most recently the Schelling model was translated into an agent based model with survey preferences as the basis for the predicted outcomes. He has participated as analyst and expert witness in the major desegregation court cases which took up the question of how we can understand the patterns of ethnic and racial separation in large US cities. The presentations and discussions were often contentious but they were an opportunity to bring demographic analysis into the court room and test the ideas about segregation and separation in both a demographic and a legal context. These presentations in Dowell (Oklahoma), Pitts v Freeman (Georgia), Swann vs Charlotte-Mecklenburg, and Jenkins (Kansas City) were based on demographic research on residential sorting and residential selection using surveys and demographic models. Elected an Honorary Fellow of the Royal Society of New Zealand 1997. The first papers to formally test the 1971 Schelling model of choice, with applications to residential location in urban areas were published in Demography. The papers showed that the theoretical tolerance distributions outlined by Schelling theoretically could be generated from survey data. Additional work showed that preferences varied by education, income and age. Most recently the Schelling model was translated into an agent based model with survey preferences as the basis for the predicted outcomes. 1. W.A.V. Clark (1991) Residential preferences and neighborhood racial segregation: a test of the Schelling segregation model. Demography 28, 1-19. 2. W.A.V. Clark(1992) Residential Preferences and Residential Choices in a Multi Ethnic Context. Demography 30, 451-466. 4. William A.V. Clark and Mark Fossett (2008) Understanding the social context of the Schelling segregation model. Proceedings of the National Academy of Sciences, 105,4109-4114. Using a life course conceptual structure a book and a set of papers showed that households changed residential locations in response to a series of internal and external triggers. The underlying conceptualization of the work on mobility and choice is the idea of the life course, that housing decisions are related to progress through the life course . The papers were instrumental in changing the perspective on residential change from a life cycle /cohort perspective to a household perspective on residential change. A meta-level analysis of surveys of residential mobility and a new structure to identify short and long distance migration had an important impact on how research about residential mobility is structured. 1. W.A.V. Clark and Jun Onaka (1983) Life cycle and housing adjustment as explanations of residential mobility, Urban Studies 20, 47-57. 3. William A.V. Clark and Suzanne Davies Withers (2007) Family migration and mobility sequences in the United States: spatial mobility in the context of the life course. Demographic Research (Max Planck Institute for Demographic Research) 17, Number 20, 591-622. 4.William A.V. Clark (2013) Life course events and residential change: unpacking age effects on the probability of moving Journal of Population Research 30, 319-334. Much of the literature on housing choice is about the role of moving from rental to owner housing. Geographers, urban economists and demographers have all contributed to developing the theory of tenure choice. The research clearly demonstrates that tenure choice is an outcome of micro level family and macro level contexts. Housing search is still not well theorized but a book and several papers outline a potential theoretical approach to understanding the way in which households search for housing. The study of residential mobility has increasingly focused on issues related to the role of the neighborhood in residential mobility choices. Mobility both affects and is affected by locational choices and a number of papers have measured the overall neighborhood effect on the likelihood of moving and the outcomes. Ongoing research is investigating the nature of the intention to move or stay and the role of the neighborhood in that decision. A recent jointly edited book brings together a group of geographers, economists, planners and demographers and lays out the central issues in neighborhood choice. The edited collection provides new insights on the current state of housing market research, residential mobility and the policy implications of housing markets after the General Financial Crisis. 2. William A.V. Clark and Philip Morrison (2012) Socio-spatial mobility and residential sorting: evidence from a large scale survey. Urban Studies 49, 3253-3270. 3. William A.V. Clark, Maarten VanHam and Rory Coulter (2014) Spatial mobility and social outcomes. Journal of Housing and the Built Environment (Online 2013). 4. David Clapham, William A.V. Clark and Kenneth Gibb (2012) The Sage Handbook of Housing, London, UK Sage Publications. There has been a long interest in how mobility and migration intersect with women’s labor force participation. Some of this research is related to changing jobs and the link between jobs and mobility, and some is related to the neighborhood contexts of the long distance migration. These ideas were explored in papers with PhD students and provided strong evidence that jobs matter at both local and regional scales. The research also links back to questions about the life course and the links between migration mobility and family formation. 2. W.A.V. Clark and Y. Huang (2004) Linking migration and mobility: individual and contextual effects in British Housing Markets. Regional Studies 38, 617-628. My research over the past two decades has been concerned with the internal changes in US cities, especially in the changes that occur in response to residential mobility and migration. I have conducted both micro scale and individual studies of tenure choice, and large scale studies of demographic change in the neighborhoods of large metropolitan areas. The latter studies examine the nature of the population flows between cities and suburbs, white flight and the impact of legal intervention on the urban mosaic. I have also been particularly concerned about the relative roles of residential preferences and housing affordability in the way in which segregation has emerged in metropolitan areas. I am currently investigating the interaction of class, race and geography in metropolitan areas, as well as continuing my studies of how residential sorting structures the urban landscape.